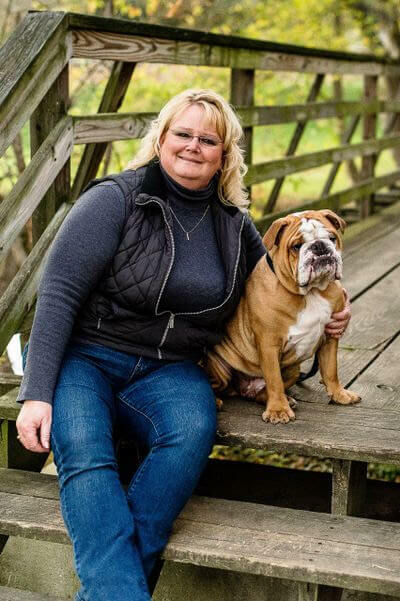 Anne Jessee and her American Kennel Club therapy bulldog, Franklin, have been volunteering with Homeland Hospice for nearly a year. Therapy dogs (like Franklin) go with their handlers (like Anne) and volunteer in different settings such as schools, or in this case, hospice programs. Spending time with pets has been known to help divert a patient’s attention away from their illness, increase happiness and reduce anxiety. Homeland Hospice has offered pet therapy to hospice patients since they began serving the southcentral Pennsylvania region nearly a decade ago. When Anne isn’t volunteering her time with Homeland, she can be found writing – as she is a recently published author. And who do you think her book features? Anne’s book, Frankie in the Farmyard, unlocks the true beauty of a blended family and proves that, although we might look different on the outside, deep inside we all just want to be loved…like Frankie. 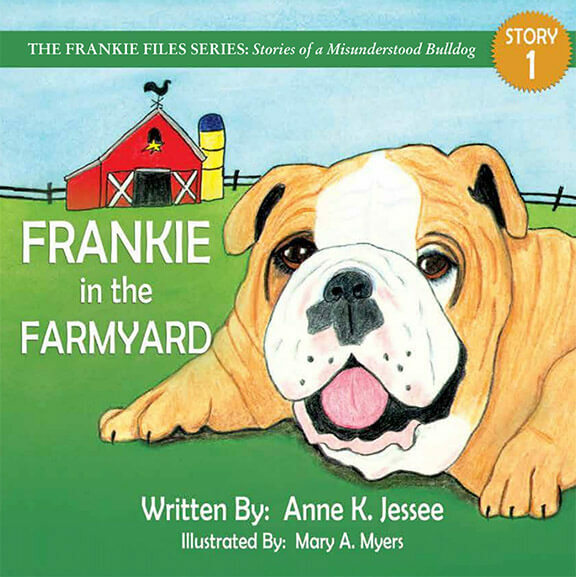 To tell the story, Frankie takes you on a farmyard adventure with all of his farmyard friends. Frankie in the Farmyard is available on Amazon and also on Frankie’s website. You can also keep up with Frankie’s adventures by following him on Facebook. To learn more about Homeland Hospice’s pet therapy program and how it can help you or a loved one, please contact us at 717.221.7890.